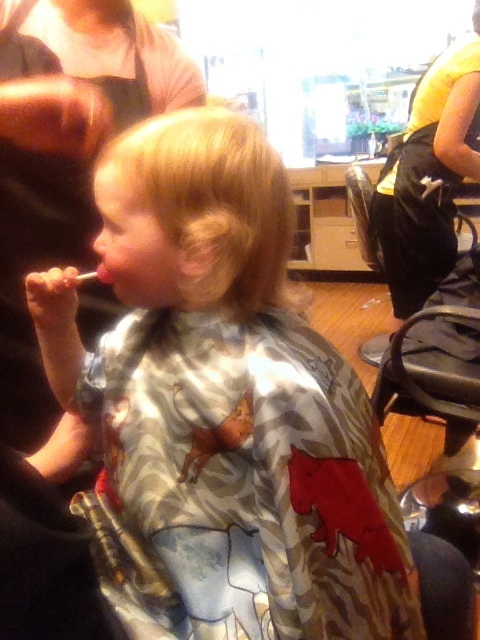 We took Jillian over the weekend to get her very first haircut! 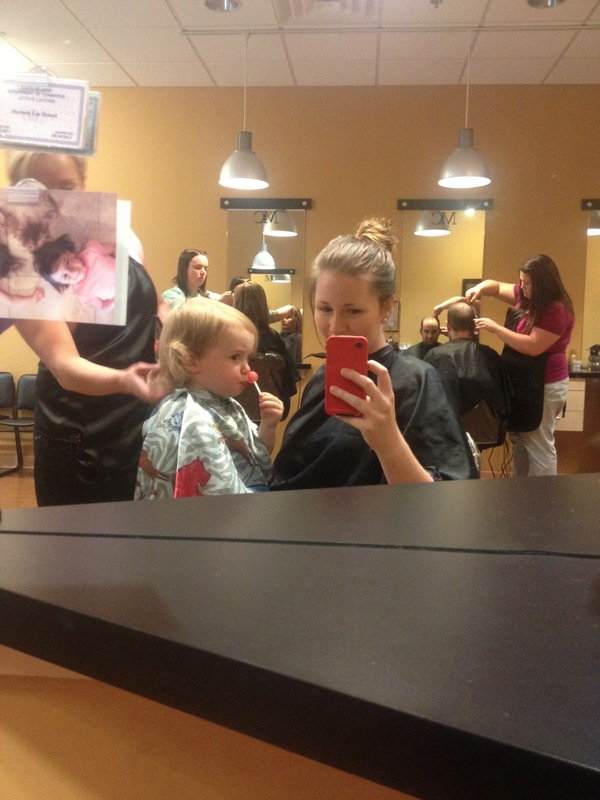 I'm not sure what I was more nervous about- the fact that there would be a pair of sharp scissors near her very wiggly head, or that she freaks out anytime I try to do her hair and hates strangers, so the combination of a stranger cutting her hair could have been a very nasty one. Fortunately, she was a rock star (she inherits this from me ;-). The lollipop I gave her definitely helped. 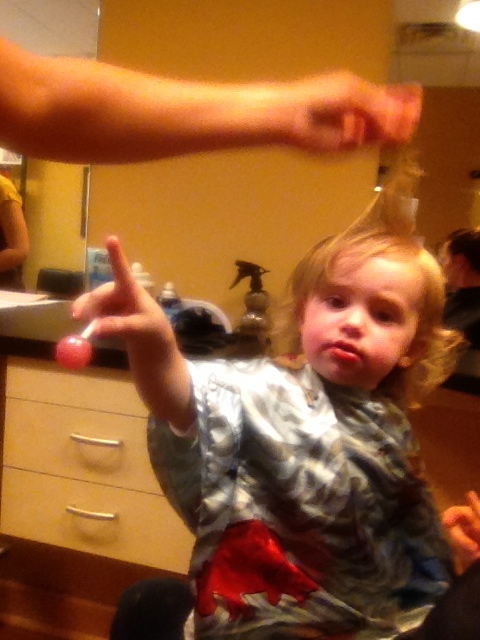 I also told her she was going to get "princess hair" and she was all over that. She only got a little snipped off just to trim her bangs and the wispy pieces in the back, but I think we can successfully check this "first" off the list! 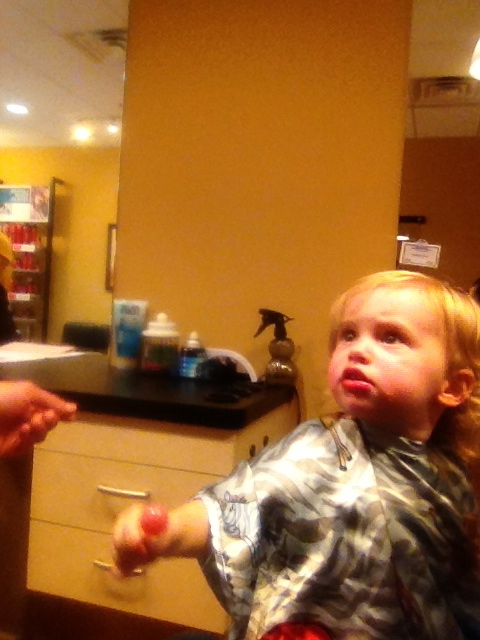 James was also getting his haircut at the same time (see him in the background?) 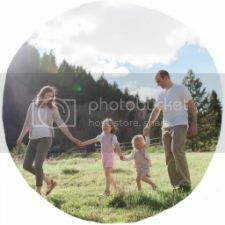 :-) It was a family affair.